Historical tourism is big business. 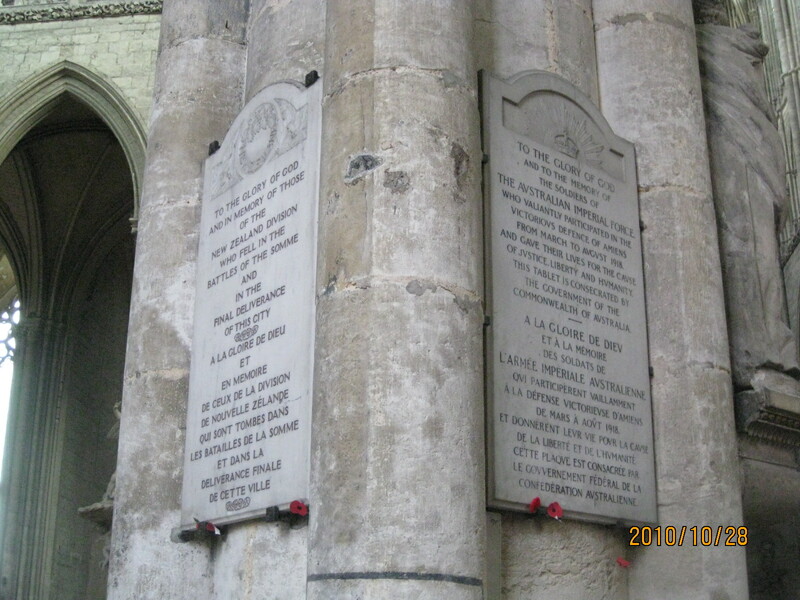 While U.S. citizens have tended to travel to Normandy and sites associated with the Second World War, it became obvious to me during my travels that folks from ANZAC nations tend to seek out spheres of activity from the First World War. As we continue to commemorate the centennial of World War I, more people from all countries should consider taking advantage of the many tours available. Remembering the past is no guarantee we won’t repeat the same foolish mistakes, but it helps. We encountered WWI tourism a few years ago. France is, of course, littered with reminders. 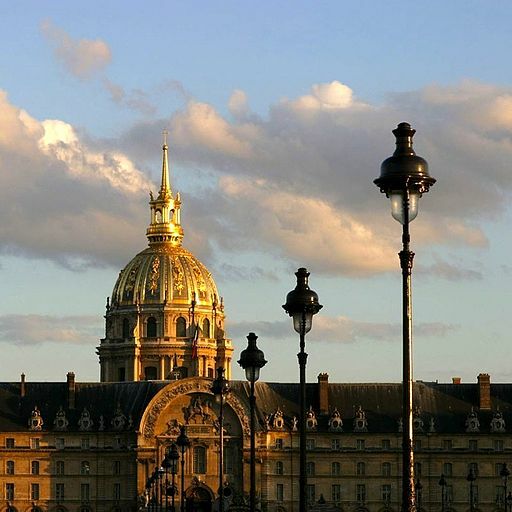 Les Invalides in Paris, best known as the location of Napoleon’s tomb, has a first rate exhibit on the Great War and its aftermath. There are escorted are day trips to be had from Paris to Verdun, Meusse Argonne, and the Somme battlefields. Similar tours can be found in Brussels. When we stayed at a bed and breakfast in Amiens, battlefield tour brochures dominated the foyer. The Somme, which flows through that city, saw some of the heaviest and most frustrating battles in a war notable for sheer frustration. The 1916 Battle of the Somme raged for almost six months. The fighting was brutal. On one day alone, July 1, there were 60,000 casualties, 20,000 of them fatalities. When it drew to a close with the onset of winter weather, the British, French and allied troops had moved thirteen kilometers closer to Germany and gained no strategic advantage. We had come to explore what is left of medieval Amiens, but could not escape World War I. The great cathedral, tallest in France survived both world wars. 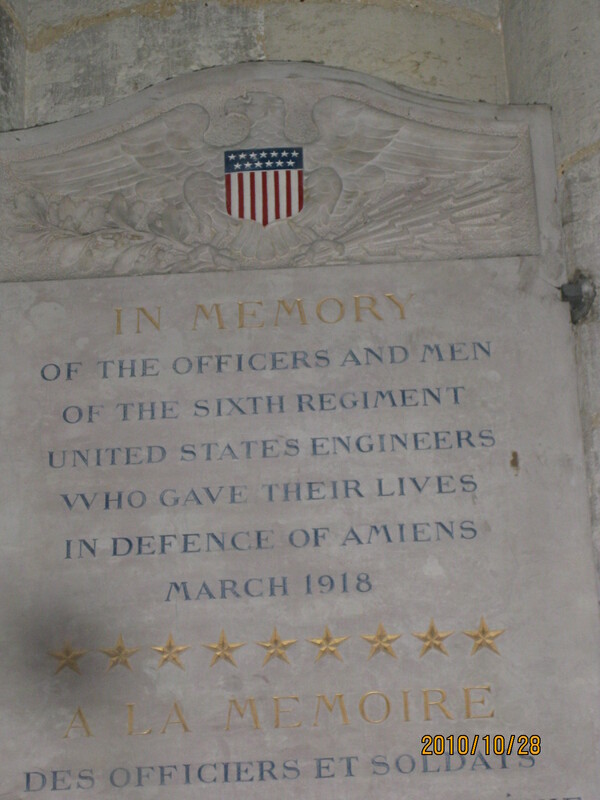 Inside, near the medieval stonework, renaissance choir stalls, and fifteenth century polychrome bas-relief, are memorial after memorial to the British, American, Canadian, and Australian troops of the world wars. 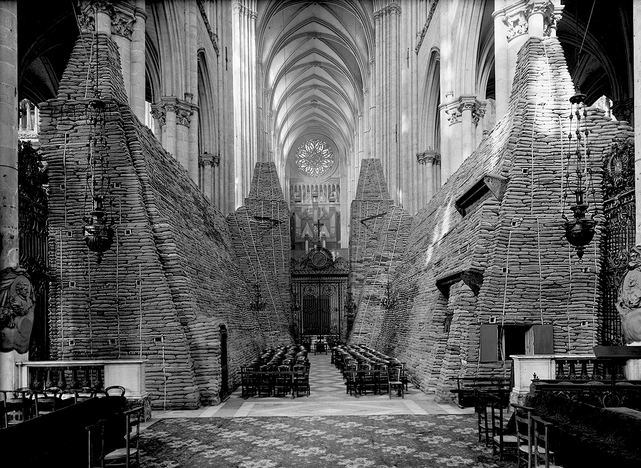 Photos of the great church covered in sandbags astounded us. That it survived is a miracle. If you visit, don’t miss the Cathedral, the medieval quarter of St. Leu, and les hortillonages, Amiens’ famous floating islands, but plan one of the English language tours. We first encountered Australian and New Zealander interest in WWI in Turkey. Most of the tourists we met were from Australia, and they were warmly received. A stop in Gallipoli made it clear why. Part of a futile effort to take or isolate Constantinople, Australian and New Zealander troops were thrown against a towering cliff defended by Ottoman troops under Mustafa Kemal, a Turkish nationalist who would become known as Ataturk and lead his country into a modern, secular statehood. 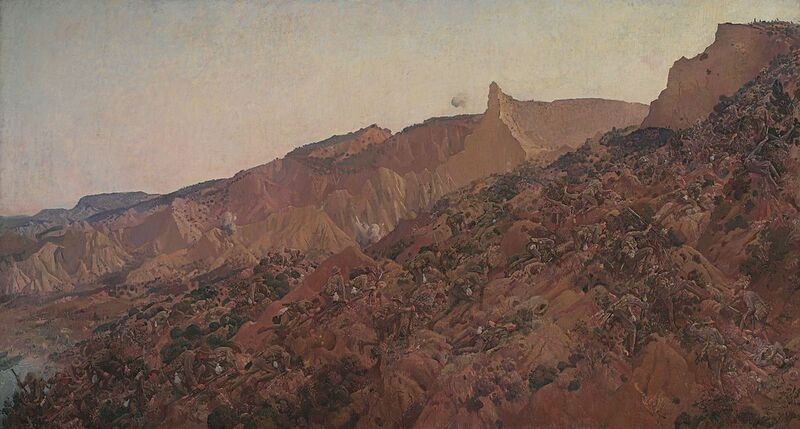 Gallipoli was a coming of age moment for Australian and New Zealand, in which they became conscious of themselves as nations quite apart from the British Empire. The day of the landing at Gallipoli, April 25, is celebrated in both countries as “Anzac Day,” their major national holiday. 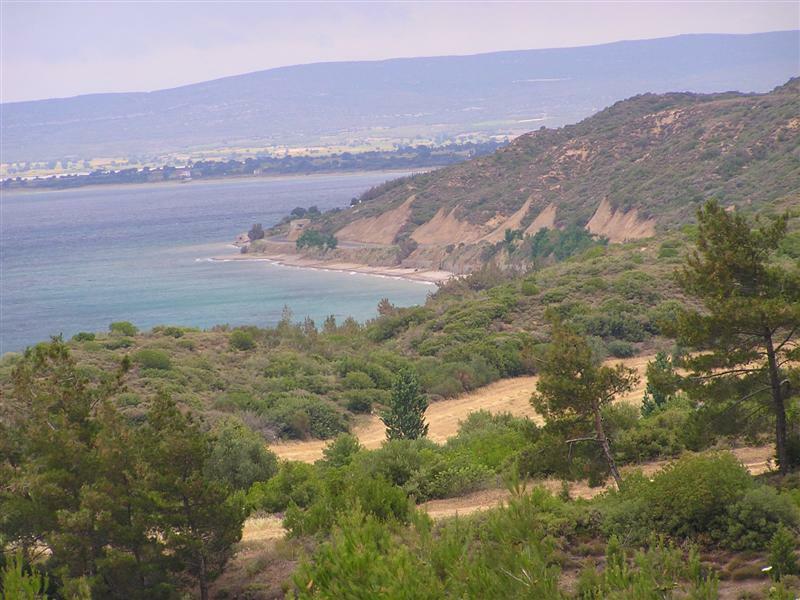 Turkey has historically honored the Anzac dead and worked to preserve the cove and the cliff top as a memorial. A massive monument stands over the Dardanelles, overlooking the straights the British high command hoped to control. Disturbing events lately, however, may have a chilling impact on visitors. Though they still welcome visitors, the security situation in Turkey has changed. In addition, the current Turkish a government recently destroyed a monument in Anzac Cove with a quote from Ataturk in English and Turkish praising the Anzac troops. While the official position is that they are refurbishing the memorial, it is widely believed Erdogan’s government wishes to redefine the Gallipoli campaign as a Jihad that defended the country from crusader invasion. The impact remains to be seen. In my life travel and story telling are closely linked. The battles lend themselves to fictional re-tellings, as is true in the case of most great upheavals. A quick search turned up over 65 novels based around the battles of the Somme and 35 or more centered on Gallipoli. My own story, “Roses in Picardy,” set along the Somme and in Amiens and featuring a Canadian hero, will appear in the Bluestocking Belles’ 2017 holiday anthology. Storytelling, as I’ve written before, sometimes tells the greater truths, and perhaps teaches the most important lessons. History as a way of repeating itself. Those who know it are better prepared to make a difference. Interesting topic, Caroline. I must admit my knowledge of WWI is sketchy. This helped illuminate a troubling time in the world’s wars. 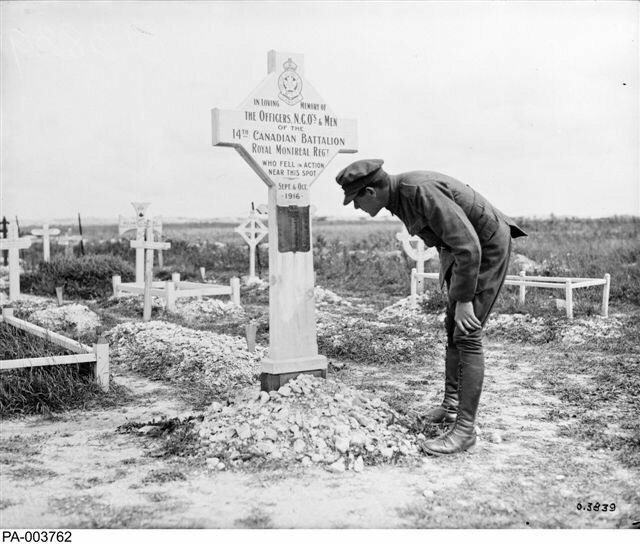 You might also be interested to know that there are WW1 heritage trails for New Zealanders – the Ngā Tapuwae Trails.